Will Microsoft's Windows 7 upgrade cost £40? 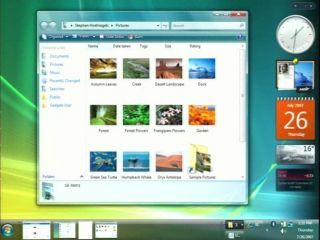 Microsoft will reportedly offer upgrades to Windows 7 for as little at $50, with people who buy new Vista PCs between late June and the 22 October release date given a free upgrade. With rival Apple's Snow Leopard OS retailing for just $30 (c £18), Microsoft could well get in on the aggressive pricing, with a leaked Best Buy memo giving away some of the details around how Windows 7 could be sold to customers. A Windows 7 Home Premium Upgrade will cost $49.99 (c£31) and an upgrade to Windows 7 Professional will be in the region of $99.99 or £62. Obviously the UK prices are subject to rather hefty increases based on the normal pattern of global sales. The news that people who buy Vista PCs will not have to fork out within months for a new OS to keep their kit cutting edge will be a major boon for the industry – although it is not yet clear if that offer will extend into the UK or if it is Best Buy specific. TechRadar's best guess for the upgrade (and we have the napkin to prove it) is that, should the offer turn out to be something that is extended into the British market, it would be a price point of between £35 and £40 for an upgrade, with full boxed retail prices still a matter for conjecture.